What do you think about yourself? 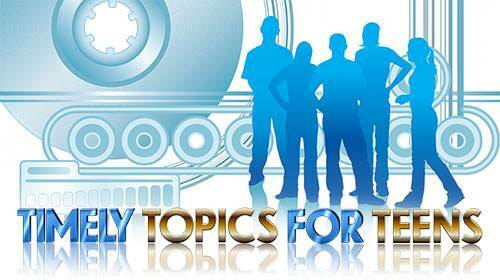 Lesson 6 Questions in "Timely Topics for Teens"
Lesson 6: What do you Think about Yourself? a) being happy with yourself. b) having the proper respect for yourself, realizing that you are worth something and that God has a wonderful plan for your life. c) feeling you are just as good as everyone else. d) being proud or conceited. 2. The way we think about ourselves affects how much God loves us. 3. The Bible tells us that God esteems every person. 4. Are these 5 steps what you need to do to develop self esteem? a. Realize that God is not through with you yet. b. Use the abilities God has given you to fulfill His will for your life. c. Get to know God. d. Begin to cooperate with God. e. Believe that God has a plan for your life. 5. God wants us to have respect for everyone including ourselves. 6. Psalm 91 tells us wonderful things God will do for those who love Him. One of these is that God will stop all troubles from coming to these people. a) until the day of Jesus Christ. b) until He gets tired of us. c) until we don't want Him to work on us any more. b) not true of you? c) not true, but you wish it was?